Continuing to use out-of-date information exposes you to higher rates of declined transactions and extra costs. If cardholders are contacted to update their information, you’ll run the risk of payment switching or service cancellation. 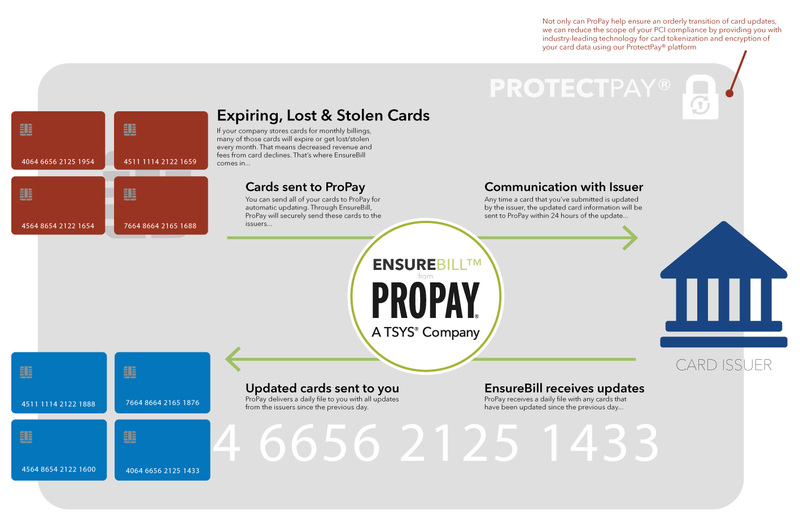 For more information about EnsureBill, our automatic credit card updating solution, call 888.227.9856, email sales@propay.com or click Contact Us.